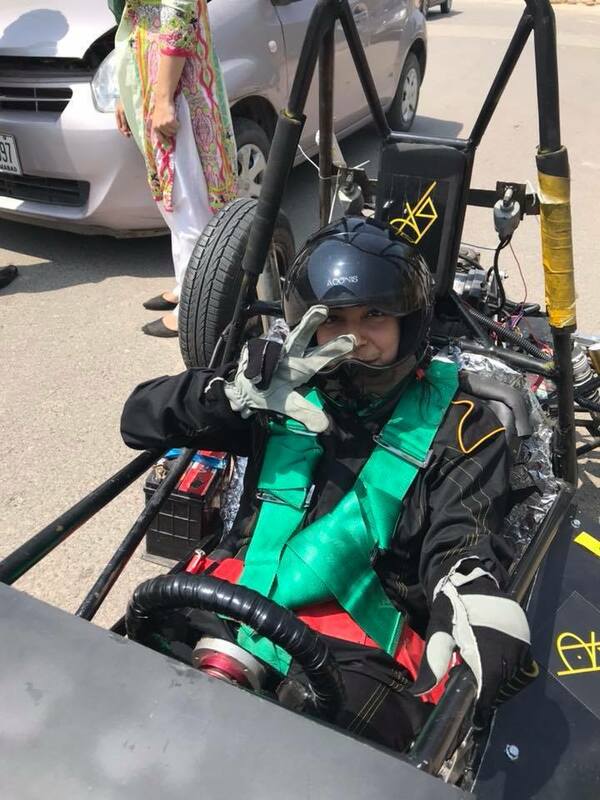 Pakistan’s first all-women ‘Team- Auj’ of National University of Science & Technology (NUST) has won the RACE TECH magazine’s Spirit of Formula Student Award held in the UK. The team presented the car prototype in the competition and finished at 73rd position in the race car design competition. They won the Formula Award for encouraging women as they were the first-ever totally female team in the competition’s history. The competition allowed these young women to spread awareness that women can also become a part of the motor-sports industry. The team aimed to encourage women to make their mark in the male-dominated fields and never back down from implementing their creative ideas. 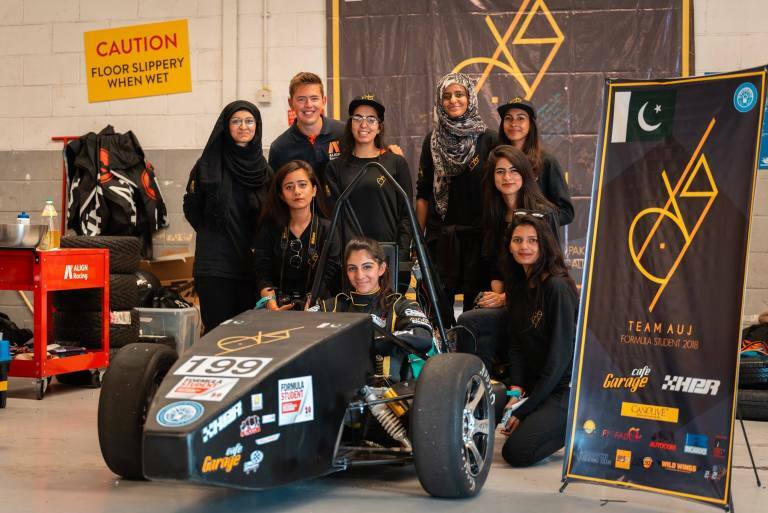 The team was cheered with a standing ovation and received a global fame in the award ceremony for being the first ever all-girl team in the history of Formula Student UK. The all-women team consisted of Aatrah Rauf Shaikh, Harim Akhtar, Azka Athar, Fatima Sohail, Cybil Braganza, Zoiba Noor, Wardah Jamal, Laiba Rodyna, Syeda Al Aima Zahra and Sabah Zaman. All of them have been honored with the Spirit of Formula Student Award.